Design & Manufacturing Services (ODM) by inXtron, Inc. Working with inXtron, Inc., an original design manufacturer (ODM), gives you the opportunity to create your own branded products and make your ideas a reality. At the same time you can take advantage of our 20 plus years of experience in design and manufacturering. This can be an effective way to improve time to market and maximize profitability. inXtron, Inc. specializes in the design, development and manufacture of consumer electronics and is dedicated to the development of core technology and quality control throughout the entire production process. inXtron, Inc. offers design services for industrial design drawings. We provide customized sketches and drawings, produce mockup samples and prepare 3D images. Such images and drawings can be used for marketing purposes, project discussions, manuals and business proposals. Our highly experienced in-house research and engineering team works together with our customers and suppliers to create new and innovative products. Our design team in Taiwan and China works closely with our production team to provide quick and efficient drawings and material preparation. inXtron, Inc. has engineering teams located in China and Taiwan. Research and development for new products is lead by the engineering team in our Taipei headquarters. Our participation in industry seminars, close contact to IC manufacturers and first hand feedback from our customers guarantees up to date information and materials. We provide product research, initial IC testing, customized circuit board layout, sample production, debugging, technical support, compatibility testing and certification. 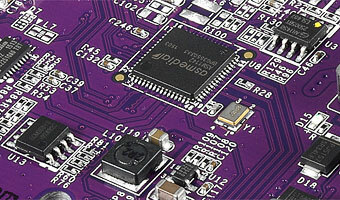 inXtron, Inc. is in a unique position as it is an ODM manufacturer as well as a software developer. This has allowed us to become an innovator of many new products and technologies. As an example, our team of software engineers has developed smart software solutions for data storage devices including drivers, firmware and programs for both the PC and Mac platforms. We have designed embedded applications to drive digital signage and multimedia players and have also created our own unique data base solution that provides customers with real time manufacturing data and statistics. Our highly qualified team of professionals would be very happy to discuss any projects or ideas that you may have. All products undergo thorough testing on different operating systems, numerous computers as well as customized setups to confirm stable functionality and good compatibility before going into production. Our in-house labs have the ability to provide immediate debugging and durability testing. Certification for CE, FCC, Thunderbolt etc. inXtron, Inc. products comply with official industry standards. 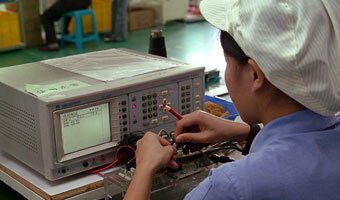 We pre-test all of our products and offer additional testing for CE, FCC and other certification. Our staff actively participate in workshops and seminars of organizations such as the USB-IF and the 1394TA. Our products are tested for compatibility with other storage devices, as well as different operating systems like Windows® and Mac OS®. Product and parts sourcing in Taiwan and China. Depending on requests from customers and manufacturing or assembly location, inXtron, Inc. has numerous contacts and sources for products and parts in Taiwan, China and Japan. Most parts are sourced locally for more competitive pricing and support but we also import IC chips and parts from other countries. Requests for specific IC chips are welcome. Our engineers and staff are well educated, up to date with the latest information and are happy to offer unique solutions for each project. SMT/DIP mounting service. Professional operators follow up the SOP to process DIP procedures. Customized or standard power supplies and cables are produced and tested on site, assuring high quality and flexibility. Functionality testing and inspection. All bridge boards have to pass ICT testing and functionality testing before further processing and assembly. High tech tools and trained staff assure top standard, complying with testing procedures set by first tier companies such as Pioneer & Sony (Japan). On-site repair and real-time feedback. Faulty parts and products are exchanged and repaired immediately to guarantee a minimum loss and top efficiency of the production line. Automatic feedback to engineer team and purchase department is provided for future prevention and improvements. Machines and facilities are maintained and upgraded constantly to comply with the latest standards for manufacturing and environmental protection. Goods are prepared according to the Standard of Packing (SOP) procedures including FQC inspection before further processing and delivery. All shipment released by inXtron, Inc. pass OQC quality checking before delivery to forwarder or warehouse facilities. Pallets are prepared with clear labeling and detailed paper work for custom and forwarder. Most goods are shipped FOB China but on request, we can also offer local warhouse services in Taiwan and the USA. Addtional product assembly, for example the installation of hard disks drives or solid state disks is possible for limited amounts of goods.